Double entry bookkeeping is the process that most businesses use to produce their accounts. If a transaction happens then two entries need to be made; a debit and a credit. 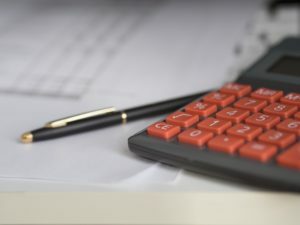 This way of accounting allows the business to keep track of stock, debtors, creditors, bank, assets, and liabilities much easier than using a single entry system. 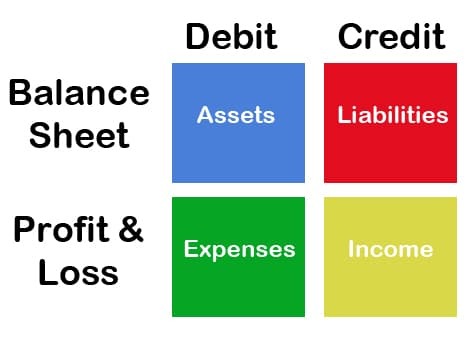 At the end of each period, a trial balance or balance sheet can be produced. This will show exactly the position of the business and how much money it owes or is owed. It is much easier checking for any mistakes that may have been made. The trial balance or balance sheet should balance if it does not then a mistake has been made. If there are mistakes made then it is possible to make a journal entry to correct the mistake. You can also check the figures by looking at the individual accounts like the bank making sure the figure in your accounts is the same as the figure on your bank statement on the same date. There may be a few adjustments to be made for cheques not cleared or deposits not showing on the statement. A business buys stock for £500 using his bank account, two things need to happen – the bank balance needs to be reduced by £500 and the stock needs to be increased by £500. A business invoices a customer (debtor) for services of £200 for payment at a later date. The customer account will be increased by £200 (Debit) and sales will be increased by £200, the sales figure will make up part of the retained earnings on the balance sheet which will be posted as a credit. Double entry can be very difficult to grasp if you are planning to do your own accounts it may be worth investing time in an accounting course or read some of the books available. If you are really stuck you may need to get someone in to do the bookkeeping for you. It is not worth getting it wrong it may cost more to get an accountant to put it right for you. There are many different software packages which will complete bookkeeping for you. For most businesses, there are several choices these include using Excel, QuickBooks, Sage or online accounting services. The advantage of using software for your accounts is that the figures are calculated for you and the postings are completed as you fill in your transactions. An example of this is if you raise an invoice on a customer. By completing an invoice from the software will automatically complete the posting for you and increase your sales and also increase your customer’s balance. Return from double entry bookkeeping to bookkeeping page.